Mortal remains of Comrade S.K.Vyas cremated at Jodhpur on 14.02.2015. 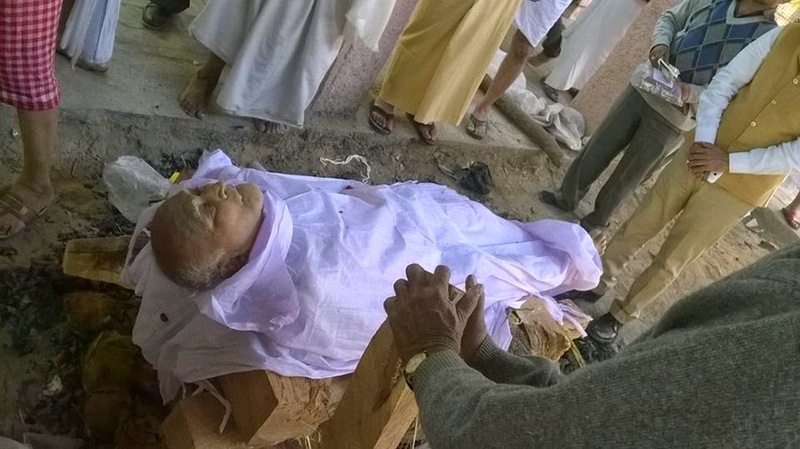 A revolutionary leader of CG Employees and Pensioners being laid to permanent rest. Yesterday at about 12.30 Hrs in Jodhpur Comrade Vyasji's mortal remains were put into flames by his sons. All bid a tearful farewell to our legendary leader. The Ganga prasadi / tehravni / last creaceremony will be held between 3 to 6 P.M. on 22nd February, 2015 in Jodhpur. We are shocked to hear that our legendary leader of the Central Government Employees as well as the Secretary General of BCPC and NCCPA Pensioners movement Comrade S.K.Vyas passed away today at 8.30 P.M. in Jaipur Hospital. He appeared to be improving and we all hoped that he had won the battle in the hospital but from day before yesterday night his condition again reported to be critical and he breathed his last despite intensive care medical treatment. This is an irreparable loss to the whole movement of CG Employees and Pensioners. We have no words to express our deep sorrow. His mortal remains being taken to his native town Jodhpur and tomorrow his funeral will be at Jodhpur. BCPC and NCCPA dips the banner and salutes this towering leader of our times. Owing to sudden illness of Com. S.K.Vyas, the Secretary General of BCPC and also NCCPA at Jaipur, his attending physician has restricted his movement. Consequent upon this situation, most of the constituents of BCPC, including NCCPA consisder that the proposed convention of BCPC, which is scheduled to be held at Nagpur on 15-02-2015 will not serve any effective purpose in absence of Secretary General. As such it is advisable to postpone the proposed convention and a message to this effect has already been communicated to Com.D.V.Dhaktod, the Chairman of the Reception Committee. Please take of it and cancel your Railway Ticket for goint to Nagpur. That 7th CPC covers the most exploited segment of civil services Viz., Casual / Contract workers and the GDS. That Interim Relief @ 25% of their pension is granted with effect from 01.01.2014. That the Dearness Relief which stood 100% of Pension as on 01.01.2014 is merged with pension. That full parity in pension is granted to past pensioners as on 01.01.2014. That PFRDA Act may be scrapped and defined benefit statutory pension scheme reintroduced for those who entered service on or after 01.01.2004. Organise State / District level Conventions to popularise the declaration in month of March 2015. Join massive dharnas / rallies being organised by C.G.Es at all State Capitals in the month of March, 2015. Organise campaign fortnight throughout the country in April, 2015. Join employees Mass Rally before Parliament on 28th April, 2015. Since the Central Govt. 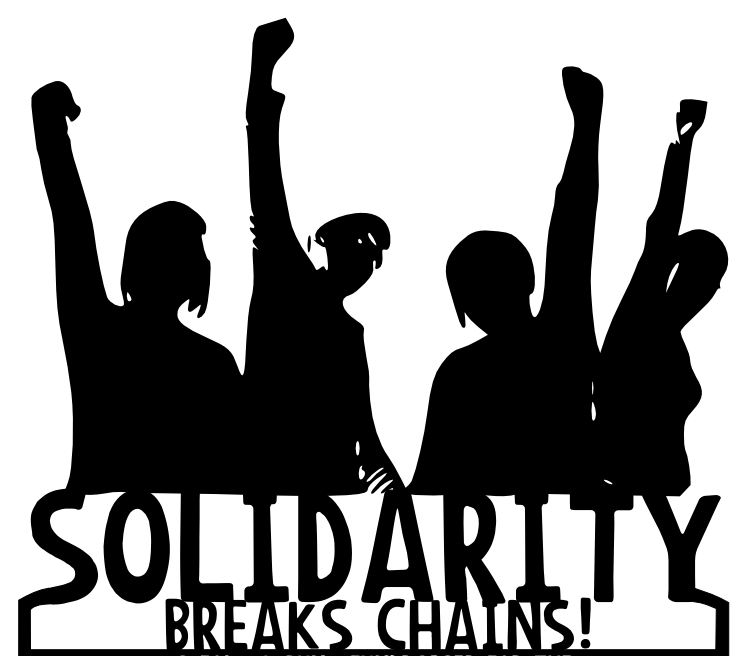 Employees have already embarked on a sustained struggle, we the Pensioners are to extend all possible solidarity support to their struggle. The National Convention of All Pensioners Organisations at the initiative of BCPC to be held at Nagpur on 15-02-2015 stands postponed. This is due to the fact that the Secretary General BCPC & NCCPA Comrade S.K.Vyas is hospitalised and undergoing medical treatment and will not be able to undertake the trip to Nagpur for leading the Convention. All Comrades who have booked their journey tickets to Nagpur are kindly requested to cancel their tickets. Details of postponed National Convention will be circulated to all later.